Hello, seeker of knowledge! 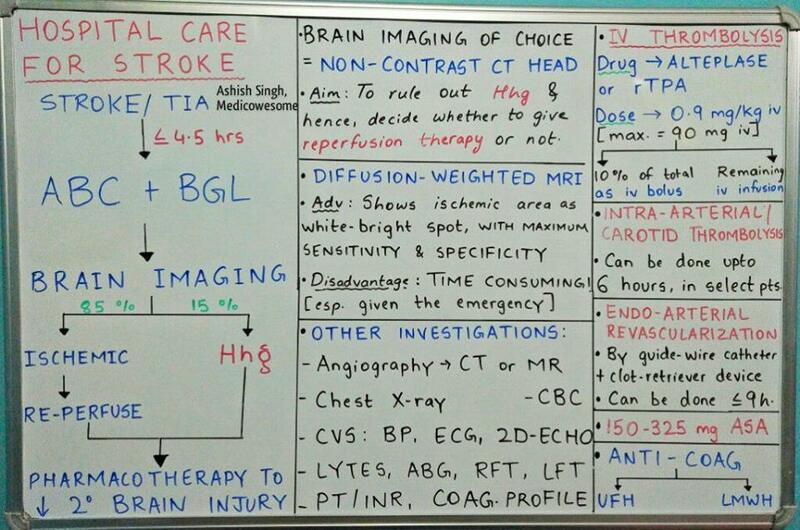 Let’s see how we manage one the most common emergencies in medicine, stroke or cerebrovascular accident. 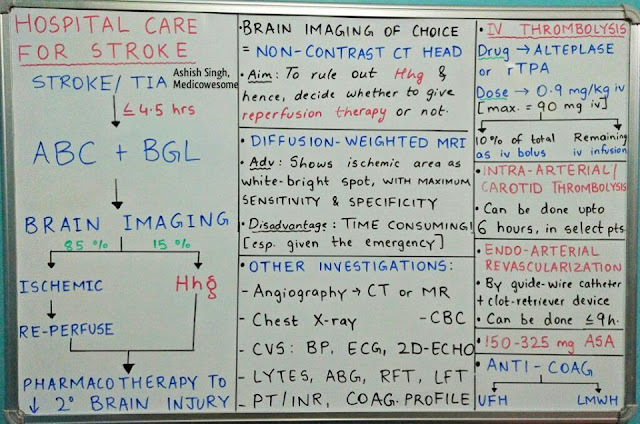 MEDICINE PEARL: MI and stroke have essentially the same pathophysiology. Clots blocking arteries! However, we give DUAL anti-platelet therapy [DAPT], i.e. Aspirin and Clopidogrel for MI while there’s only Aspirin administered to a patient with stroke. Nice notes! Thanks a lot for your effort.